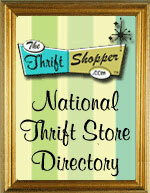 ThriftStoreWebsites.Com strictly adheres to the policies that are stated on this website. Please read all policies and email us with any questions or concerns regarding these policies. Click on the policies below to read more about them.